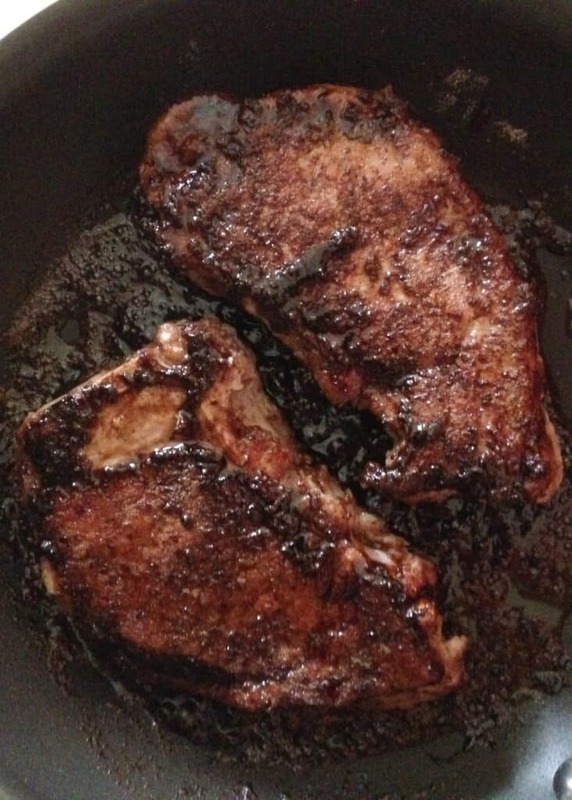 These easy, skillet fried pork chops with balsamic and dijon are an awesome week night meal. 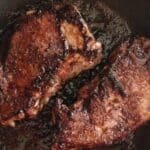 They are ready to eat in barely 15 minutes and so tasty my husband and I had a hard time sharing our pork chops with the kids. I’ll definitely be doubling this recipe the next time we make them! I served these pork chops with Rosemary Roasted Potatoes and Oven Roasted Asparagus. There was hardly a bite leftover at the end of the meal. Heat the butter over medium heat in a large non-stick skillet or well seasoned cast iron skillet. Allow the butter to foam and brown slightly. Swirl the butter to coat the pan. 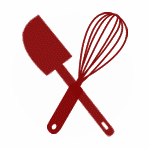 Stir together the flour, garlic, salt and pepper in a pie plate or flat bottomed bowl. 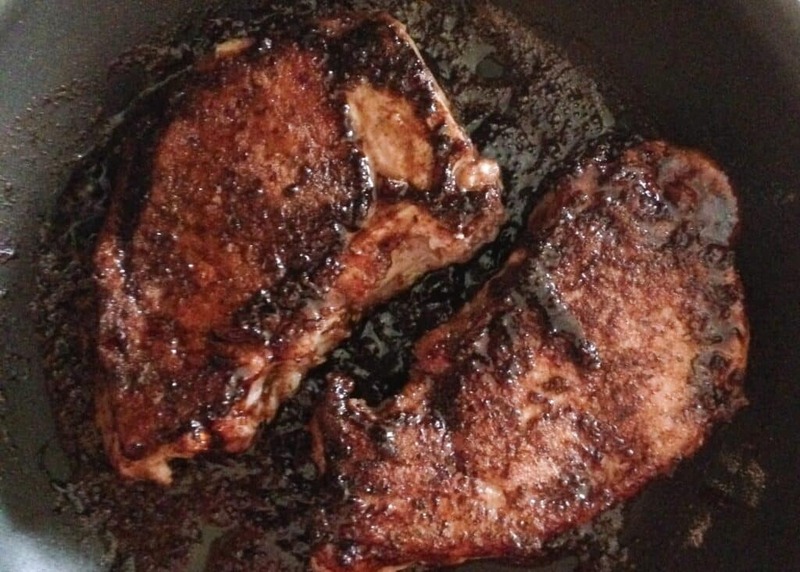 Dredge each pork chop through the flour mixture on all sides and then place the chops in the hot skillet. Let them cook undisturbed for about 3 minutes. Stir together the brown sugar, balsamic and mustard. Flip the chops over, they should be golden brown. Pour half the balsamic sauce over them and cook for an additional 3 minutes. Flip once more and pour the remaining sauce on the pork chops. Cover with lid and cook on low for 2-4 more minutes. Remove to a plate and pour any pan juices over the meat. Let rest for 5 minutes before serving. Enjoy!